In 1992, I was meeting with a Jesuit Priest at the Catholic college, Holy Cross. He was the vice president and I was in the spring of my junior. He was describing what can and cannot be art – “Art is valuable, it must be painted, it cannot be offensive, it cannot be trivial. You cannot make art from trivia.” The context was an attempt on my part to install a temporary sculpture in the science building, after having been successful with one installed for a week in front of the student center. His protestation inspired another project that grew across campus, but like so much work that I created in the 90s, I never took the time to reflect on or explain what I was doing or why. 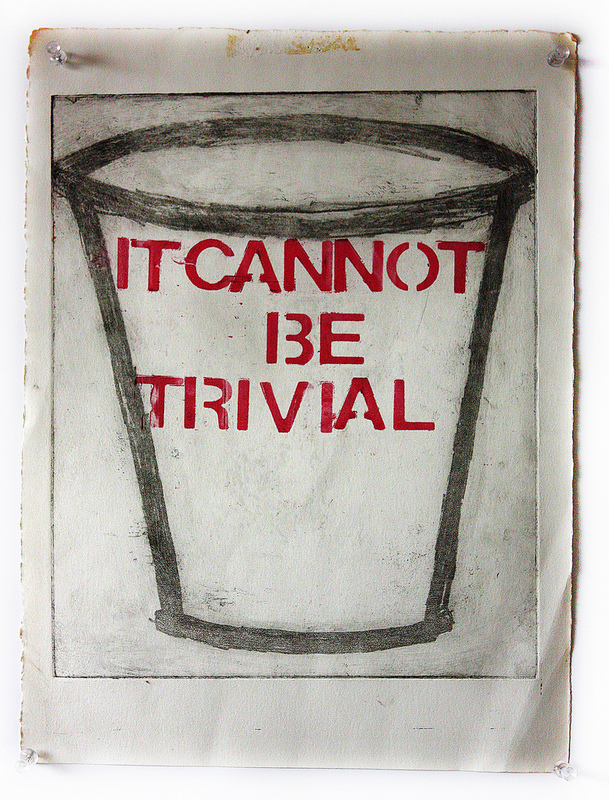 It Cannot be Trivial is a meditation on earlier work and, I’m hopeful, and example for my students to use as I encourage them not just to create, but to write about and discuss what they make.